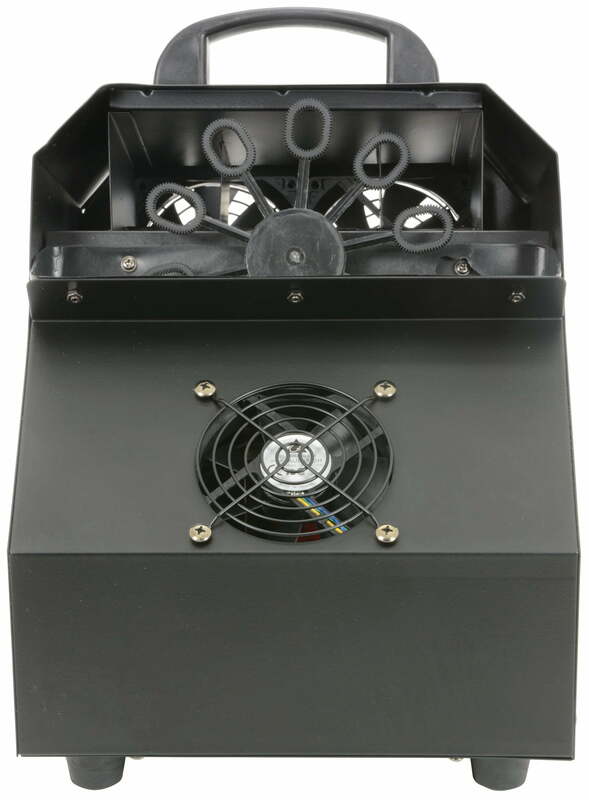 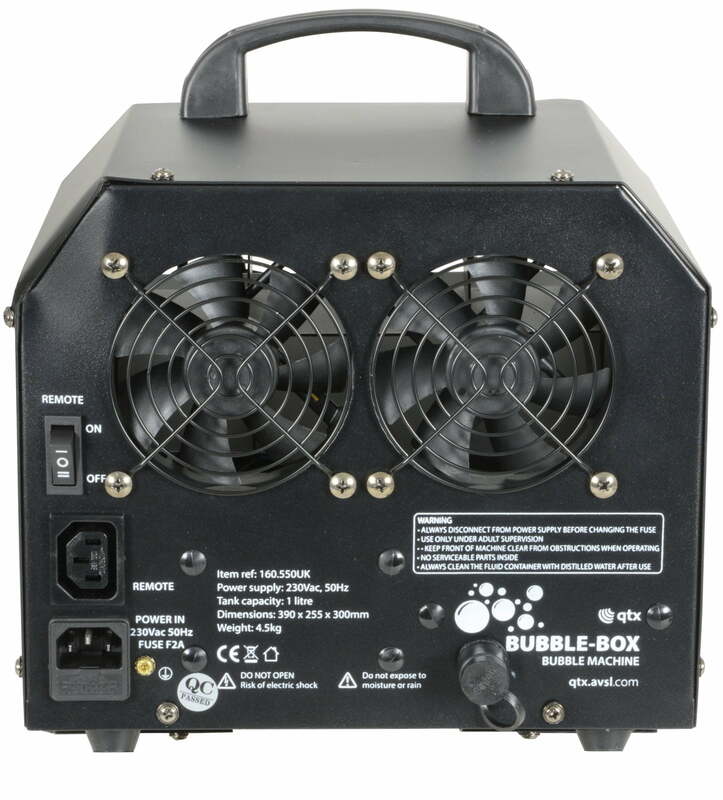 The QTX Bubble Box Bubble Machine is a Mains powered, high output bubble machine built into a compact steel housing. 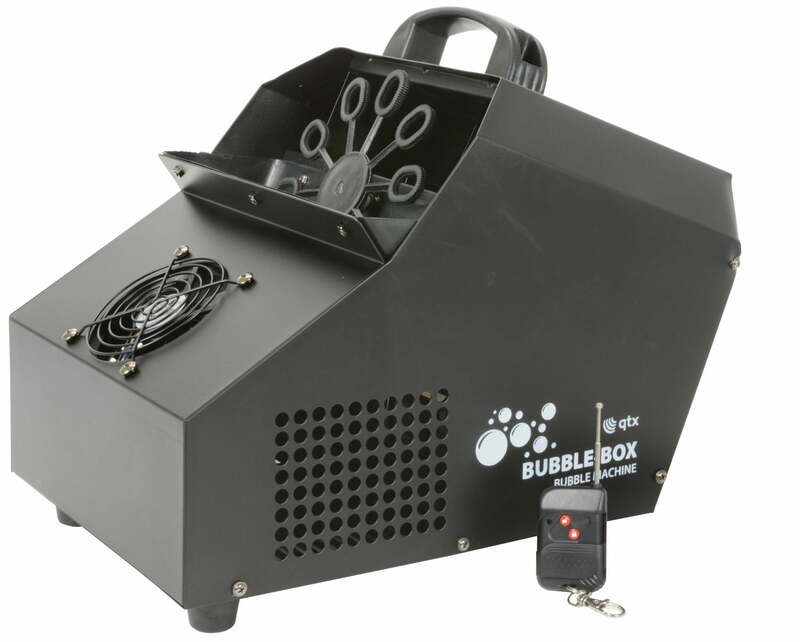 Bubbles output is controlled by a choice of wired or wireless remote control. 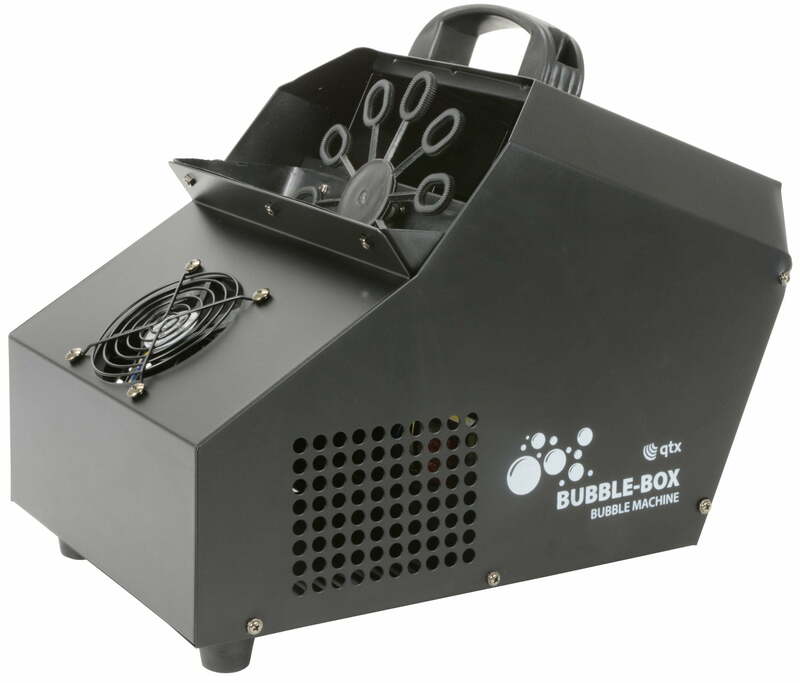 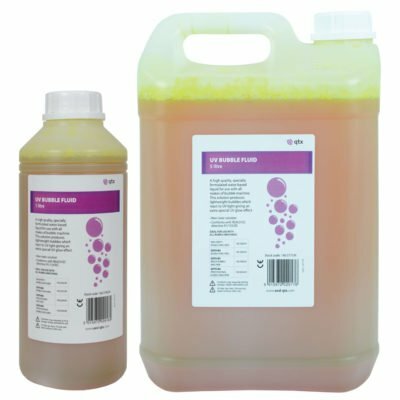 Designed to deliver a torrent of bubbles for stage effects and parties.